Seasonal cues such as day length and temperature influence how quickly plants grow and how well they can fend off pests and pathogens. This remarkable ability is key for plants to thrive in their local environments. But how do they coordinate these signals to achieve the right balance between growth and defence? Is each signal perceived and processed through a dedicated machinery? Or is it that the responses to multiple environmental cues are sorted out centrally by a common machinery? Until now the mechanism that controls this process has not been well understood. New research from the John Innes Centre, Norwich, UK, which appears in the journal Cell Reports, sheds light on this fascinating question. Dr. Vinod Kumar of the John Innes Centre explains: "Our study reveals the existence of a central signal sorting hub, which fine tunes growth and immunity in line with key seasonal cues." At the centre of this signaling hub are DET1 and COP1, two key proteins known for their role in light signalling and growth control. This study exposes a novel role of these proteins in plant defense. DET1 and COP1 along with the transcription factor PIF4 control the coordination of growth and immunity in response to day length and temperature. "We used Arabidopsis in our study. Given the evolutionary conservation there is a strong likelihood that this could also be true for other systems including important crops, "added Dr. Sreeramaiah Gangappa, the first author of the paper. The next stage, says Dr. Kumar, is to explore in greater detail to understand how the hub functions. "We have shown that a common signalling machinery is in operation for environmental signalling. The next exciting challenge is to understand the molecular mechanisms by which it operates." 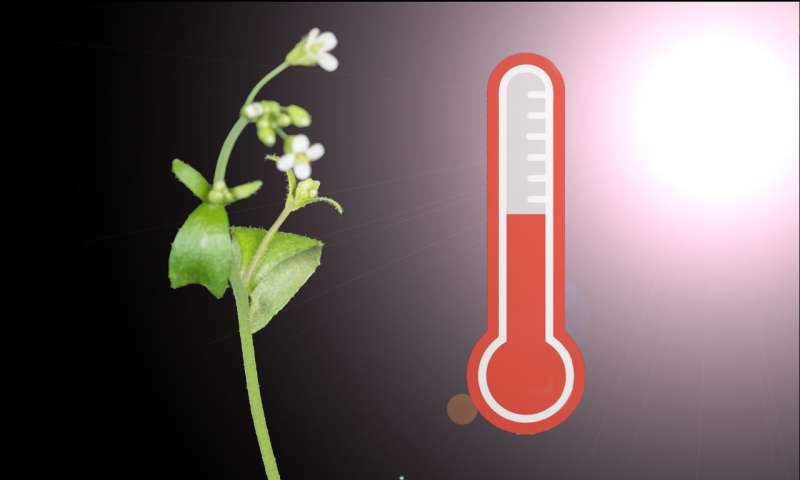 Understanding the mechanisms by which plants interact with their environment to define adaptive traits, such as growth and immunity, could be important in crop breeding in the long run—especially in the context of global climate change.